When you’re trying to have fun, it’s really annoying when someone tries to sell you something. Nobody wants to be bothered with such things when they’re just trying to have a good time. This is big problem for many social media marketers. Since social media is all about having fun, it’s hard to make it work with your business, which is all about money. So how do you reconcile your potential customers’ interests with their consumer needs? We gathered some insights from the people who know it best (Nicky Kriel, Lilach Bullock, Neal Schaffer, and Lukasz Zelezny), and we’ve come up with 4 steps to have fun with your social media marketing and still succeed. If you know who you are as a brand, you can better identify what you can offer your customers beyond your products/services. After all, Apple isn’t just about iPhones and Coke isn’t just about a soft drink. Apple’s about innovation and changing everyday life and Coke is about spending time with friends and family. Just look at innocent. They rarely post to promote their products. Instead their posts are about communicating who they are as a brand. And who they are is pretty hilarious. It’s no surprise they’re so often the most engaging page in out monthly Fanpage Trends UK reports. Automation’s useful, but you can’t automate everything. Just ask Gary Vaynerchuk, who knows how automation is meant to be used. 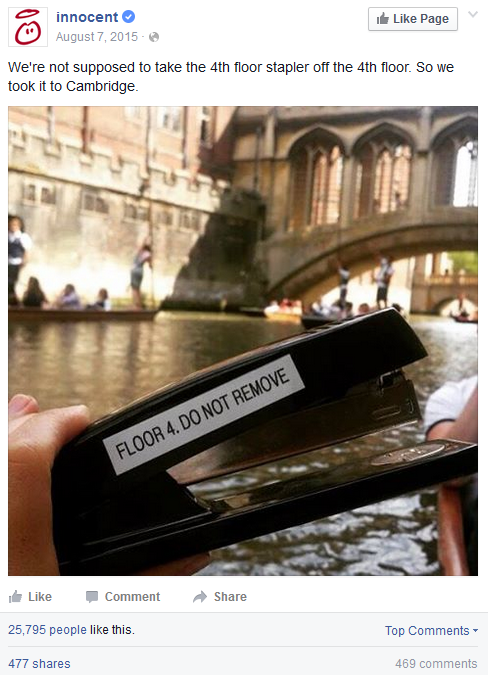 Automate for efficiency, not to make people think they’re dealing with a person when they’re not. You have to treat your fans and followers like friends, not like potential clients. Use your knowledge and experience to support and interact with your audience. They will start to see you as an expert and an acquaintance — the basis of being an influencer! If you don’t measure how you’re doing, you won’t know if you succeeding or how to improve. It’s the only way to know that you have the right content that will interest your users. And once you know, you can adjust your strategy to make in fire on all cylinders. 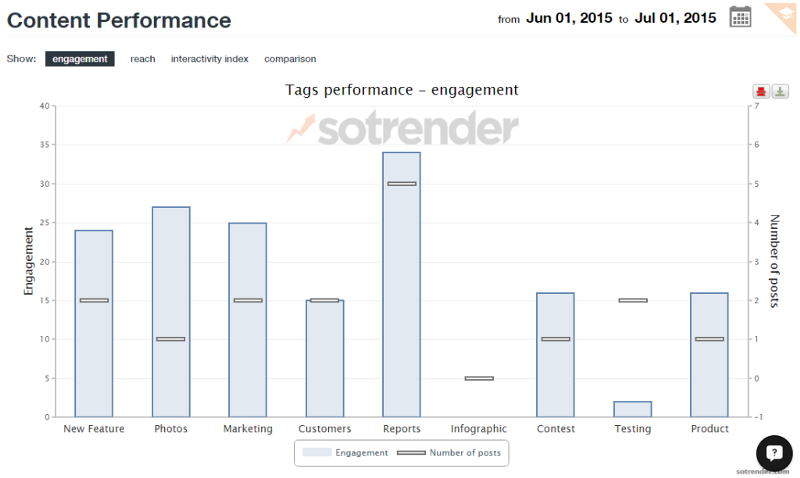 You can use Sotrender to analyze your performance. For example, our content strategy module allows you to organize your posts into categories, allowing you to compare what type of posts perform the best. Do stand out on social media and engage a lot of users? Then it’s time to consider paid promotion. Advertising on social media can be complicated, but there are some good tools out there to help you: AdEspresso, FastTony.es and Qwaya. And on Adel de Meyer blog you will find simple tips on how to craft the perfect message. As long as your ads are informative and amusing, you’ll get a boost to your performance. And there you have it, 4 fun steps to boost your social media marketing. These will help you boost your performance and not make you seem like such a stick in the mud online. Be sure to try them out! Want more fun with social media marketing? Check out our full blog post with thoughts from influencers and more examples! Sign up for a free trial of Sotrender or follow us on Facebook and Twitter! I do not think that all methods are relevant, tools and strategies for working with <a href=»http://boundstart.com/«>social</a> networks change too quickly. How to catch everything!